The Death March Marker at Km 102, purchased by the late MBDO Director Alberta Clayton is located at the newly refurbished San Fernando Train Station, see attached photos. Alberta purchased the Marker to honor her brother, LaPrade D. Brown, who died a Japanese POW at Bilibid Prison. LaPrade Brown was a member of Company B, 192nd Tank Battalion, the Maywood, IL unit. This Marker was purchased from and maintained by the Filipino American Memorial Endowment (FAME). 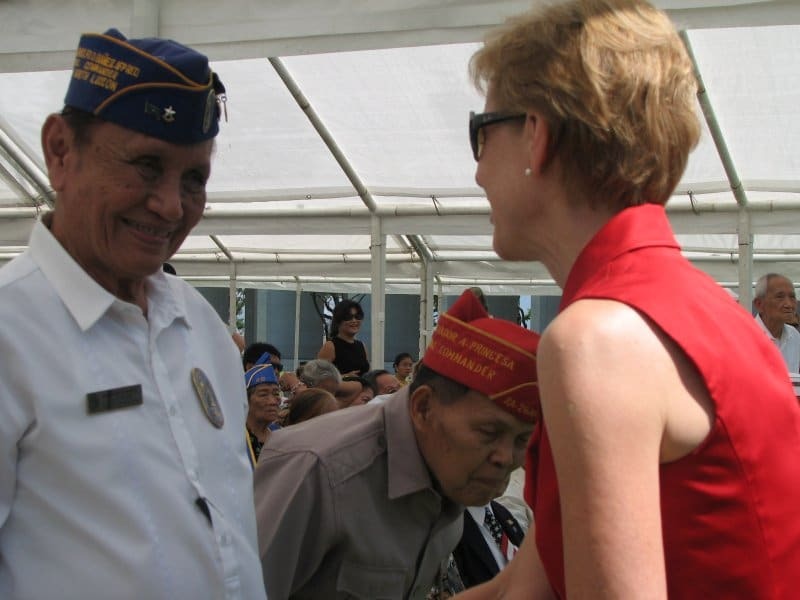 FAME has been an outstanding supporter of “Remember Bataan.” MBDO applauds their efforts. The City of San Fernando is thanked for preserving the Km 102 Death March Marker. Yes, we do this so we remember the good deeds of those who died before us…so it will inspire us to do good as well. We also learn from the lessons of the past so we can march on to a brighter future.